The 3/4" bore front hub bearing found on the right front hub of the newer Phantom® Karting Chassis. This bearing is used on the ID along with an arbor spacer. 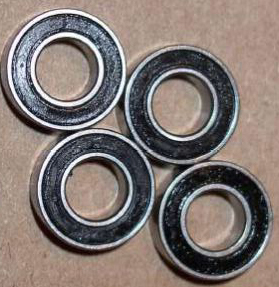 The code on this bearing is R12-2RS or R12-RS. Phantom Chassis are a trademark of Wiggins Kart Shop.